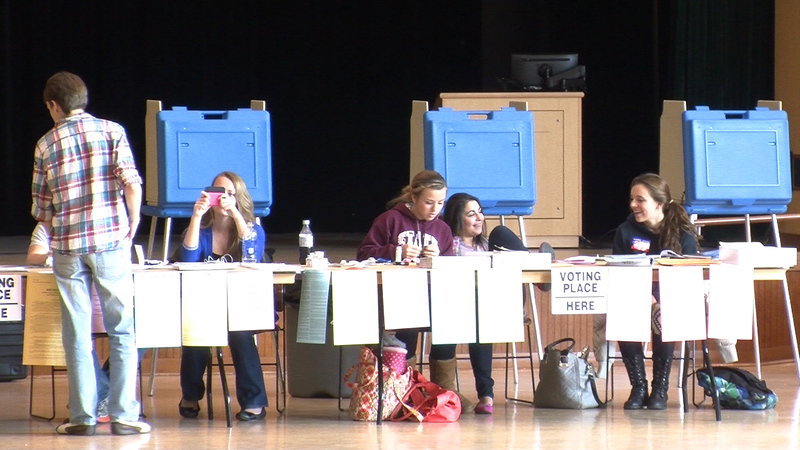 Centre County election workers opened polling places at 7 a.m. Tuesday and began the wait to see how many voters would show up in a non-presidential election year. Republican candidate Ron Madrid had hoped it was time for a change as he ran against incumbent mayor Elizabeth Goreham in Tuesday’s election in State College. Madrid said his only regret if he lost would be for all of his supporters who worked so hard to get him elected. 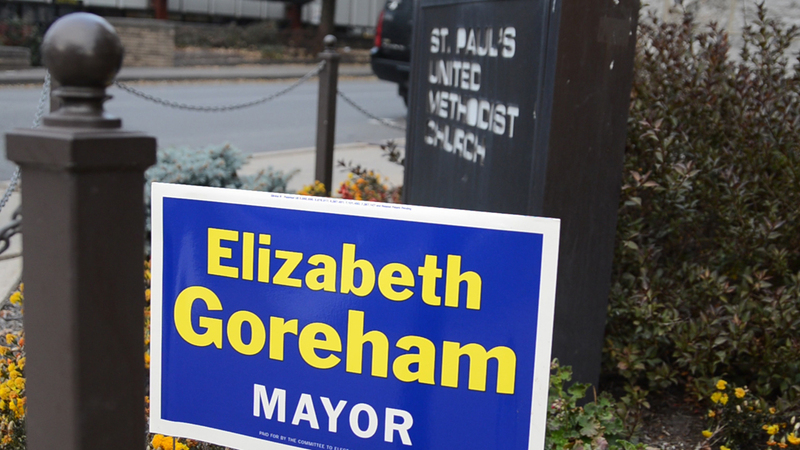 Based on early returns Tuesday it appeared Goreham would win reelection and defeat Madrid. 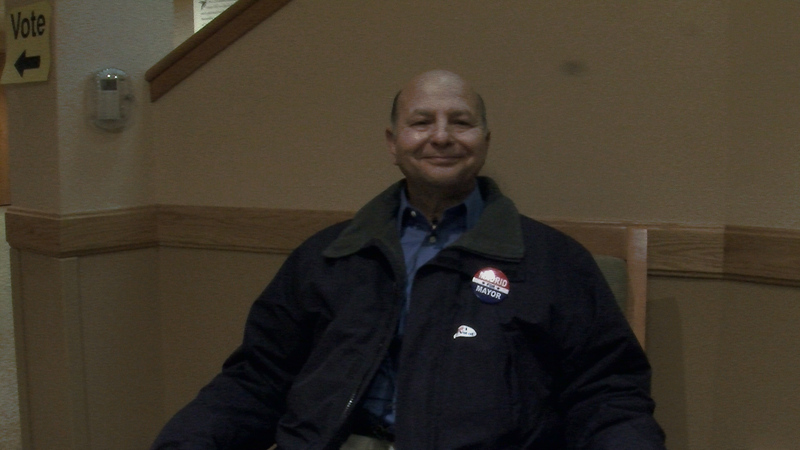 Jeff Kern, a longtime resident of State College, has been volunteering at the polls for about 15 years. 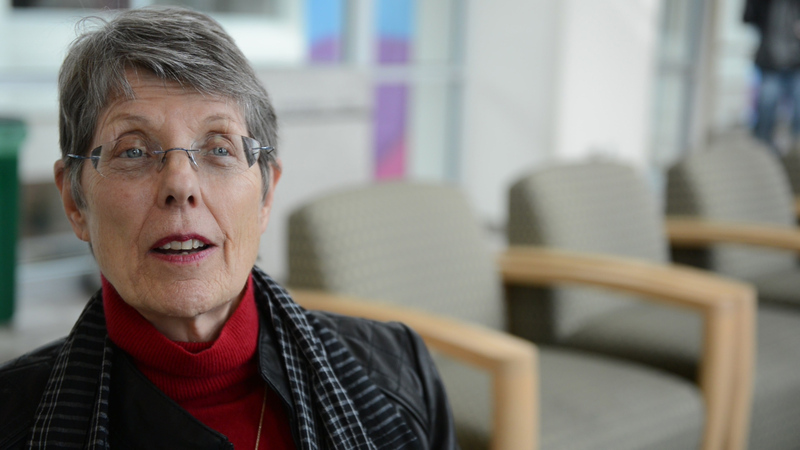 Kern also served on the State College Borough Council for eight years. He reflects on a difficult and personal experience he had at the end of his Borough Council career. John Vincenti helped monitor the election process Tuesday at Mike's Video,TV & Appliance in State College. 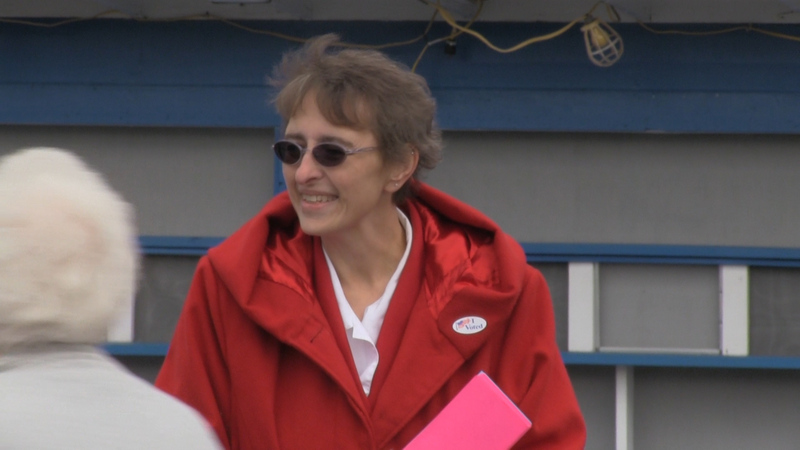 Vincenti wished more people would come out to vote. Bob Berry is a retired police officer who calls himself a professional volunteer. After 12 years of being Judge of Elections he knows the ins and outs of voting. Bryanna Summers, high school senior, is still too young to vote but finds herself drawn to the people at the polls. Together they have an interesting take on the voters in precinct 44. 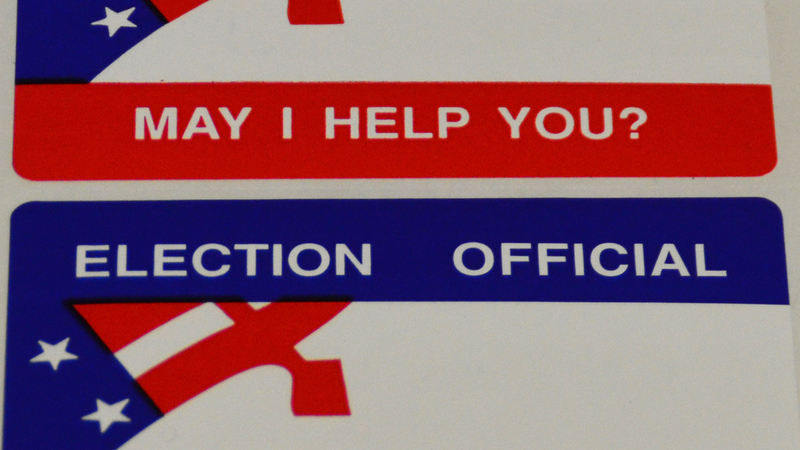 Although this year’s election is not a presidential election, Casey Rabiea feels as though it is just as important, if not more important, to vote on a local level. Upon graduation, she hopes her vote positively impacts the new chapter in her life as a Centre County employee. 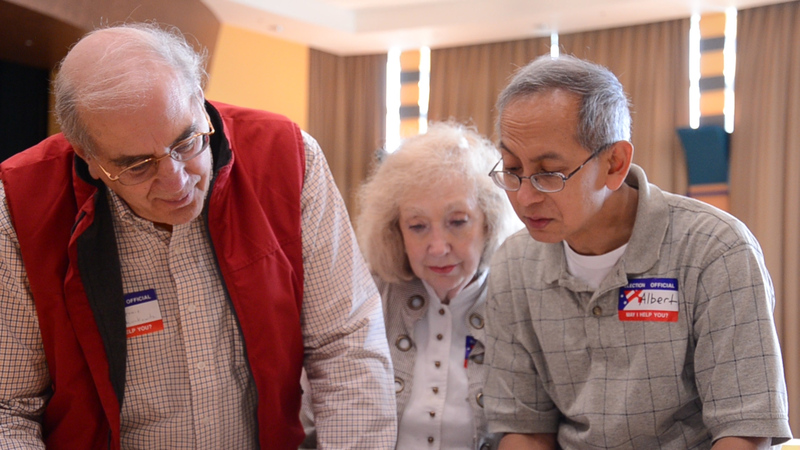 Bob Barry, judge of elections, explains some of the preparations he goes through on election day. He is a resident of Ferguson township and is working his second year as judge of elections for State College's election day. 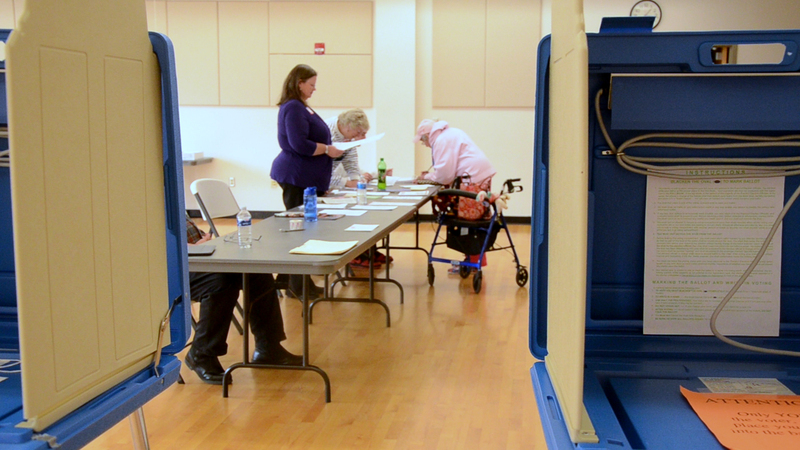 He makes sure voting machines are set up and operational, including one for sight- or hearing-impaired voters. He is paid a small stipend for this work. Anthony Christina graduated from Penn State last year, but was back on campus today to hand out literature near the HUB today and encouraging students to make sure they vote. He emphasized that even though it is not an election with a large turnout, it is still important because the candidates in this election are the ones who work closely with the community. Mary Marino is a supporter of mayoral candidate Ron Madrid. She thinks that students should pay more attention to local The decisions that local government make influence people’s daily life. 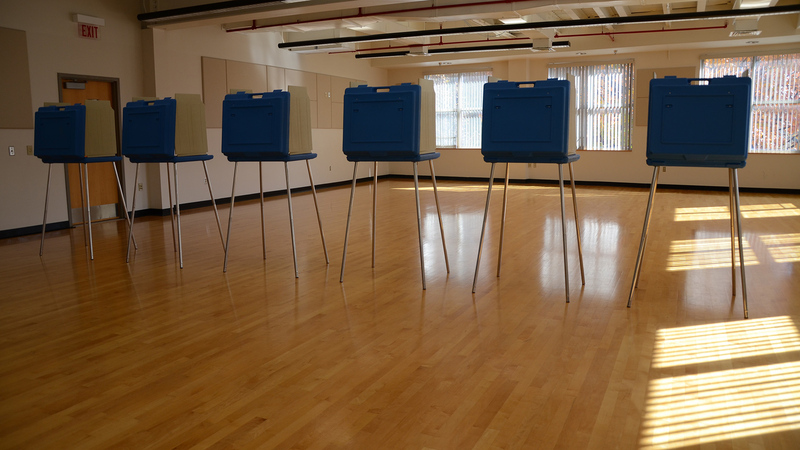 There was a scant voter turnout in the HUB’s Heritage Hall today, despite it being the voting location for 5 precincts. 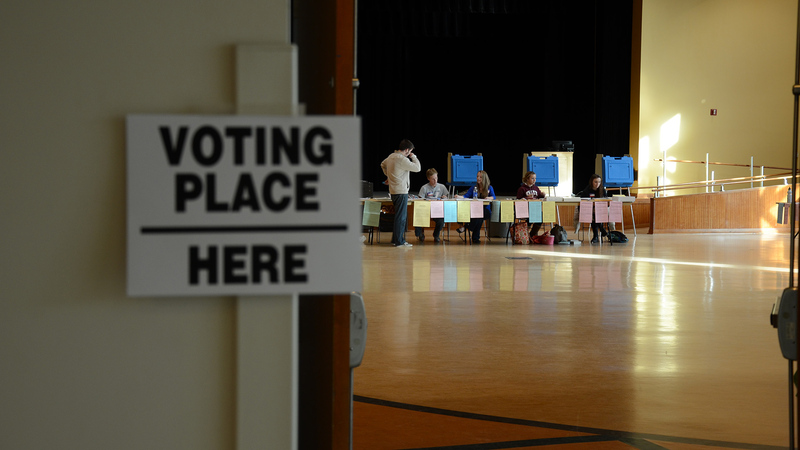 Geddy McCullough, Judge of Elections for Precint 28, and Paige Gresser, a Bellefonte Area High School senior who volunteered to help with the election, have their own theories about why turnout is so low. Judge of Elections Bob Barry says that voter turnout is just as he expected. He says there are no major representatives running for positions and nothing surprising or controversial is happening, so turnout has been low. 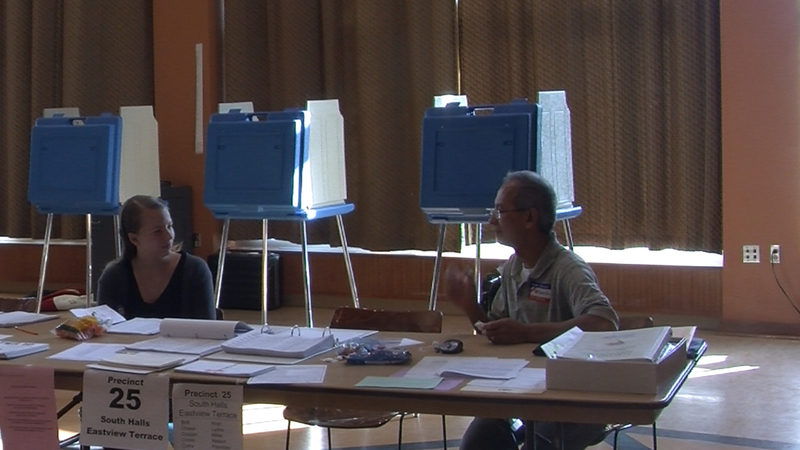 However, he says that people in the community should still vote because the positions being filled have an impact. 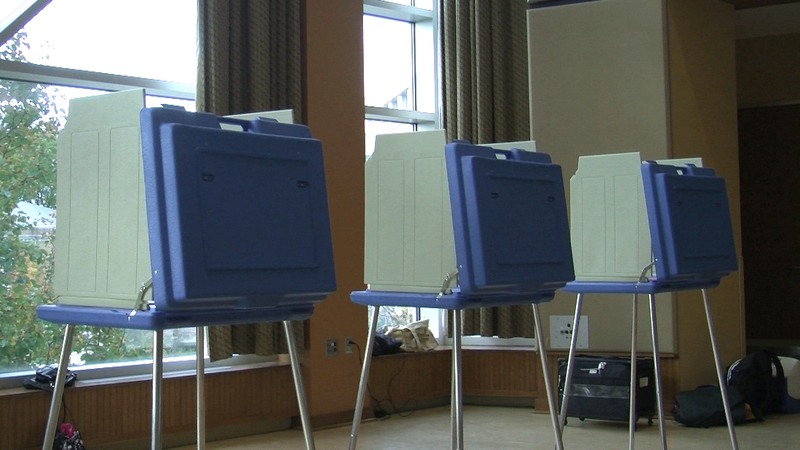 Barry says that he expects turnout to be much higher during the next presidential elections. 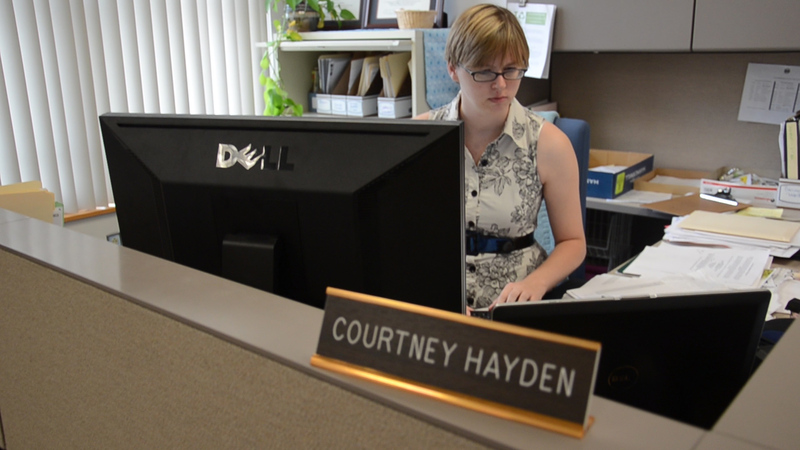 Courtney Hayden is the Communication and Special Projects Coordinator for the Borough of State College. She began her career as an AmeriCorps worker specializing in environmental issues. In January, Hayden will be running orientation for candidates vying for spots on the 2014 ballot so they can review their strategic plans. 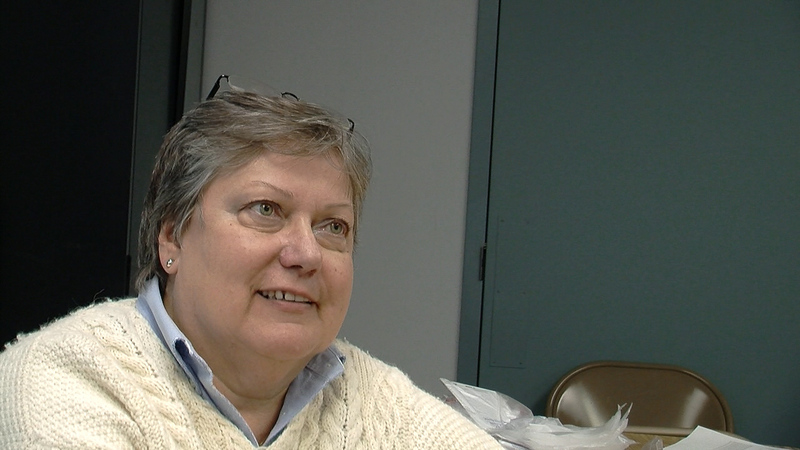 Deb Flavin, the director of Centre County Republican Party, has spent the past few months preparing for this election by going door-to-door and distributing literature packages with information on the candidates. Putting in 13-14 hours a day for six days a week, she is passionate about her job and getting the word out about the candidates. She is also in charge of running the Facebook page and keeping the community informed of what is happening politically in the Centre County area. Election judge Albert Nakpil saw little student enthusiasm for the elction as he worked in the 25th Precinct polling place today. Bob Minard is a registered State College area voter who has been dedicated to assisting voters at the polls for moree than 10 years. Today he spent his time at Unity Church along with his wife and a few friends giving voters a helping hand. His day consisted of waking up at 6 a.m. to get the polls set up, then sharing stories about why it was so important to get out and vote. 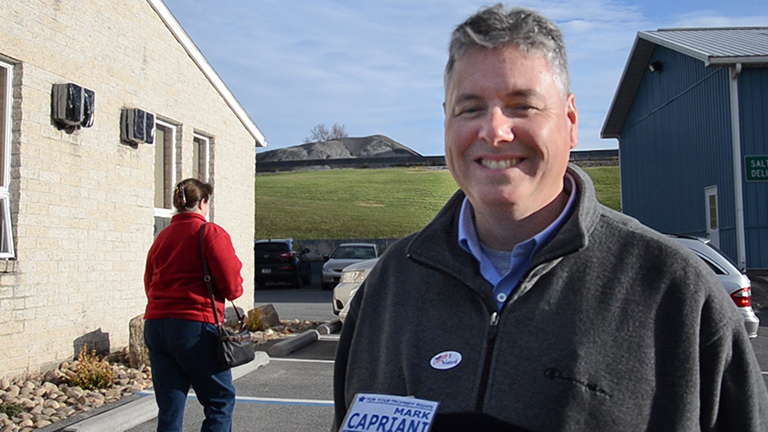 Despite his tough race against incumbent John Elnitski, Mark Capriani spent most of election day waiting for voters to show up. 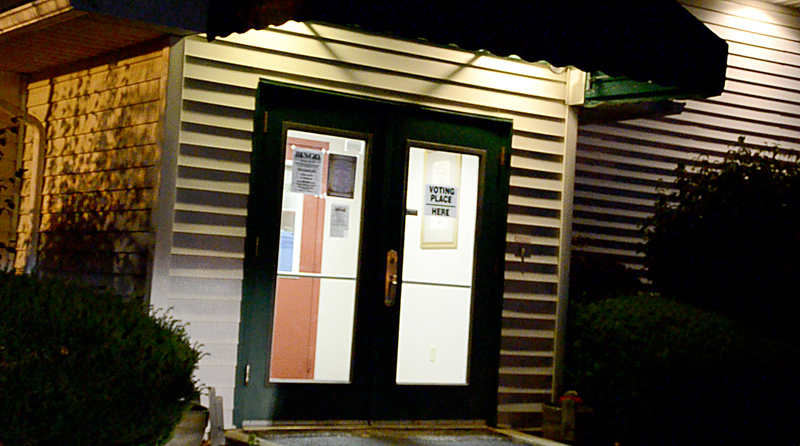 Capriani is running for a spot on Benner Township's Board of Supervisors. Aaron Dennis thinks it’s important that we vote. It’s so important he spent Election Day working to get students to the polls. 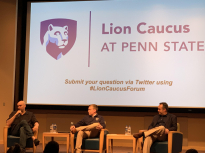 Although Colin Hogan has only lived in State College for his graduate career, he feels more passionate about showing up at the polls than many long-time State College citizens. 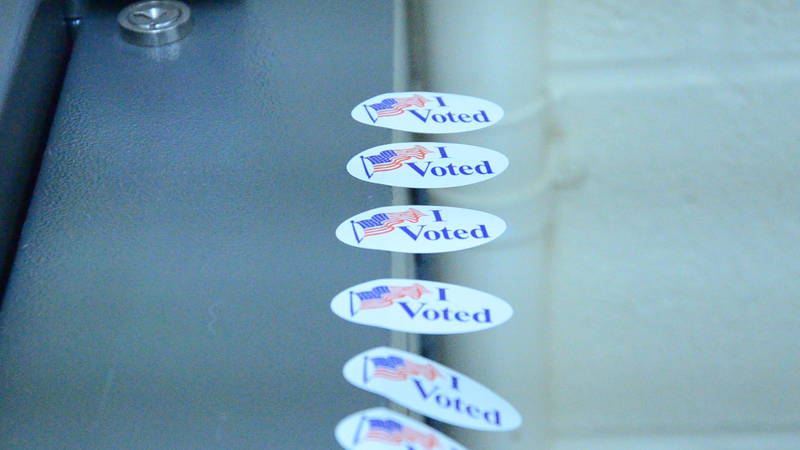 Hogan, an American Literature graduate student, says, “It’s not for a particular candidate or a particular issue, but to participate and exercise my democratic rights. 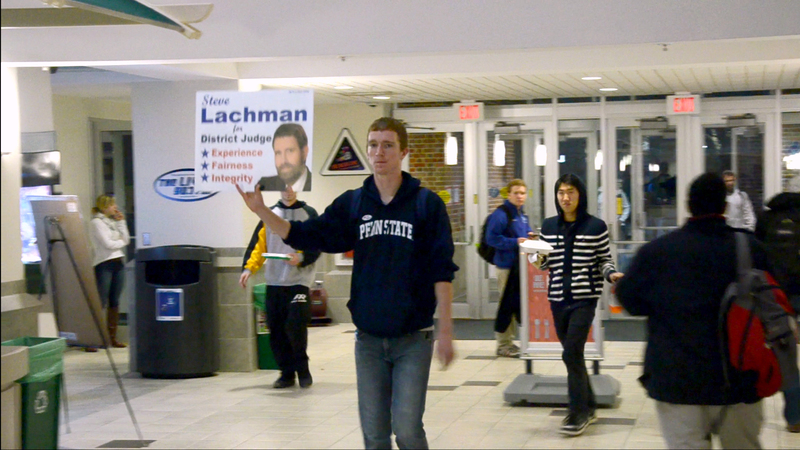 Ron Madrid, the candidate run against Elizabeth Goreham for State College Mayor, stayed busy on Election Day. 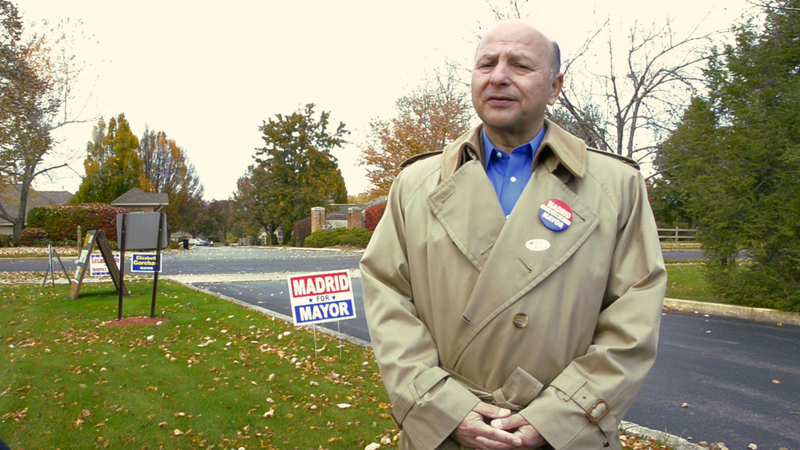 Madrid with the help of his neighbor and supporter Mary Marino, campaigned outside the Knights of Columbus polling location. Madrid is involved in many State College organizations including the Holmes-Foster Neighborhood Association, the State College Historic Resources Commission, and the Planning Commission. Katherine Coratta is a sophomore who majors in social studies. Katherine Coratta’s father was a part of the United States Army for twenty-six years and she spent a great deal of her childhood on military bases. The experience she gathered from her father’s time in the army generated a genuine passion in politics. 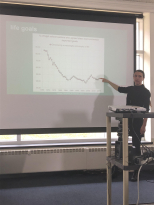 Katherine, a sophomore at Penn State, also perpetuated her appetite for politics in high school when she took AP government and politics and AP United States History. Katherine ultimately wishes to pass what she has learned about United States history and the government to young kids as a teacher..
William Su, a senior at Penn State, voted for his first time Tuesday. 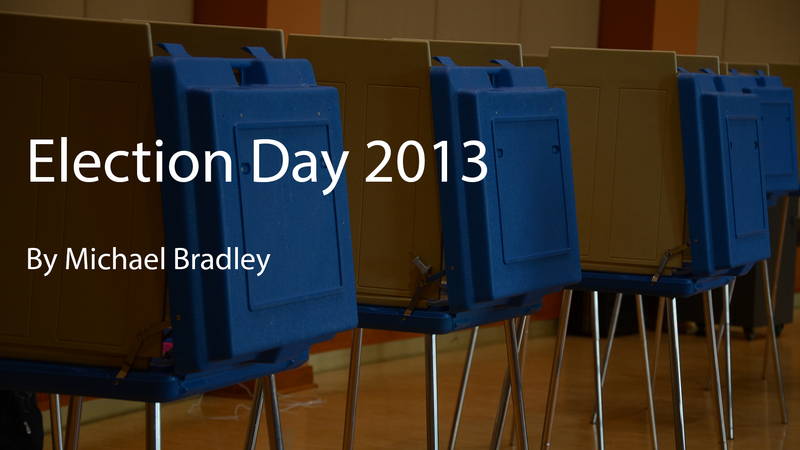 He went to the HUB-Robeson Center early in the morning to cast his vote and represent himself in the election. 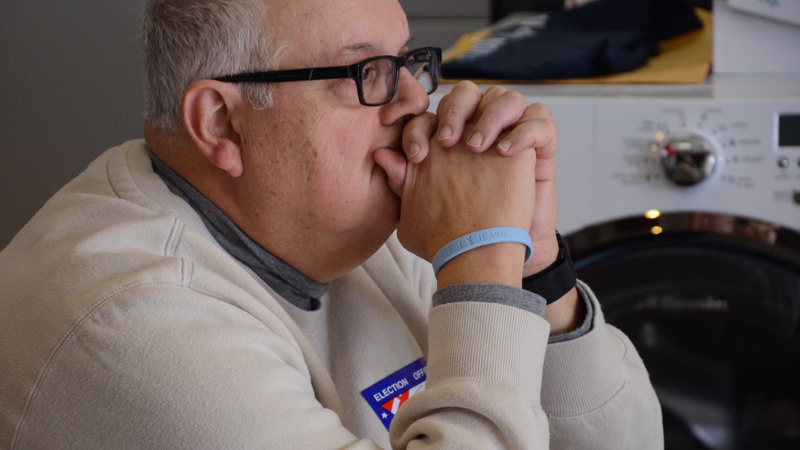 Election Day is much more than just another day for Joe Kowalski. 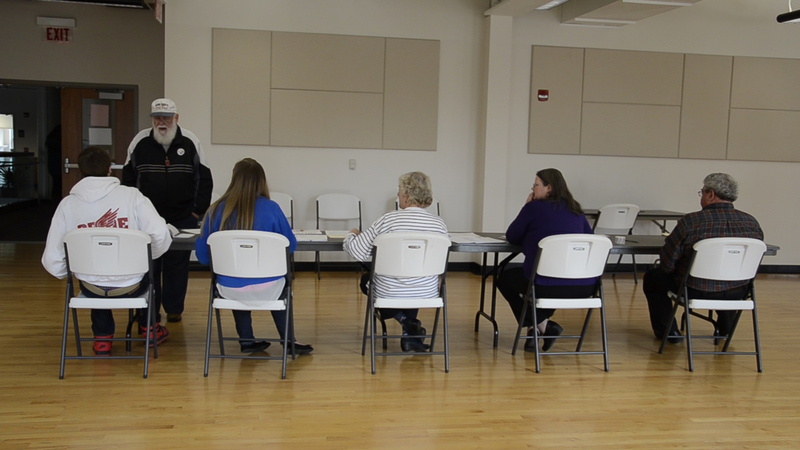 Kowalski serves as one of the election inspectors for the 21st precinct in State College. He provides an inside look at everything that goes into getting his polling station ready to open. After the incumbent decided that he no longer could be mayor in the small town of Port Matilda, Pa., three candidates decided to run as write-in candidates. Ida Lively is one of those three. She has lived in Port Matilda for 18 years, and says she wants to be voice for the residents of the town. 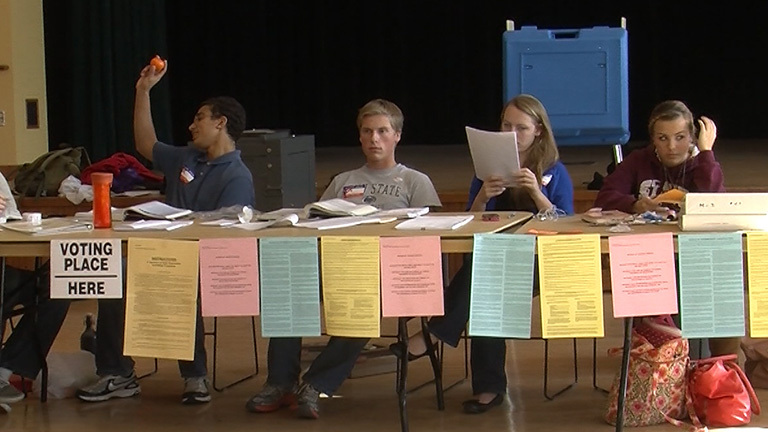 Noah Borowski, a high school senior, spent his school day doing volunteer service for his AP government class working as an election volunteer in the HUB Robeson Center on Penn State University's campus for Election Day. Geddy McCullough is a fifth year senior majoring in Telecommunications. He is regular volunteer at the election polls. Today he is working at the HUB-Robeson Center. 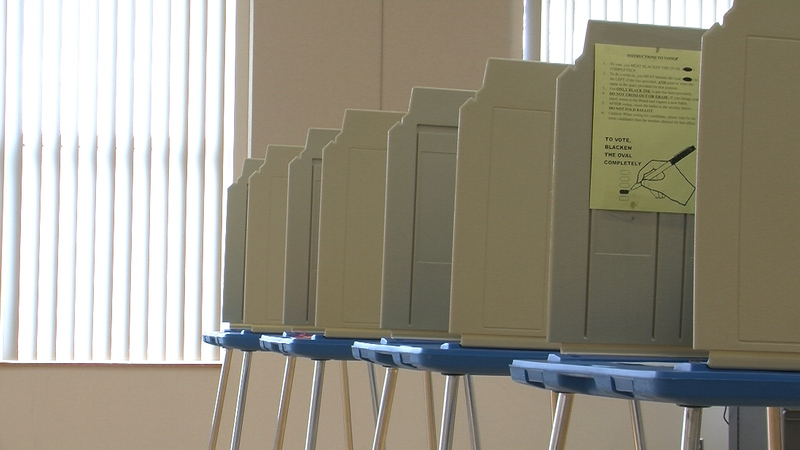 Judge of Elections Donna Brooks says she expects less than a dozen voters to cast ballots at St. Paul's United Methodist Church on College Avenue for the 2013 local elections today. Poll workers like Brooks are committed to running voting booths for the 13-hour voting time despite the predicted low turnout. I am a senior at Penn State majoring in broadcast journalism. I currently serve as the production director at ComRadio. In addition to that I host a weekly talk show and do play-by-play for a variety of sports including football, basketball, baseball, and hockey. Kiona Dyches is currently a senior majoring in broadcast journalism and minoring in African American studies. She lives in Philadelphia Pennsylvania. Kiona is currently an intern for ESPN Radio 1450 in State College. She plans to graduate in May 2014. 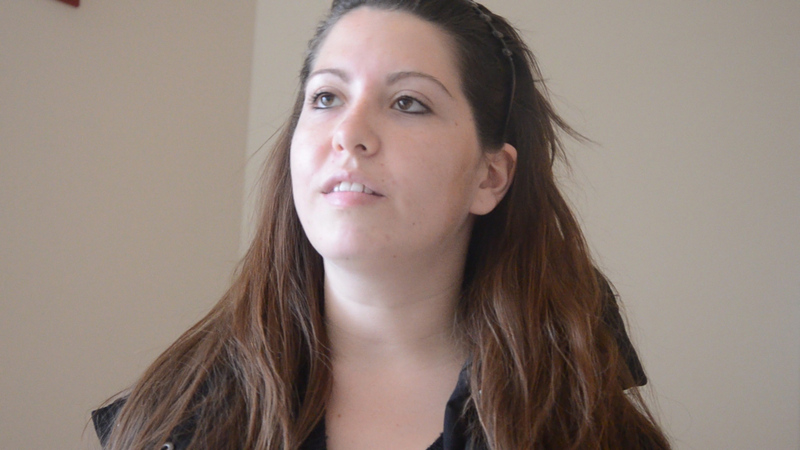 After graduation she plans to continue her education and pursue a masters degree. In the future, Kiona aspires to work as a reporter for a major news company such as 6abc or FOX. I am an adult student with two jobs and a family who is back at school so that I can learn to use my voice to tell stories. While print journalism is my major, broadcasting interests me and I am excited to be a part of ComRadio. Hiking and trail running are my hobbies. Someday I hope to write for an adventure magazine. I work hard and am very busy, but I enjoy life along the way. I’m a senior studying broadcast journalism and graduating December 2013. I was originally born in Puerto Rico, living in New York City. I am fluent in both English and Spanish and my career goal is to be a news anchor for a major news outlet in NYC or LA, or a host for a radio station in either of those cities. A former student-athlete from Durham, NC who has a passion for sports and story telling through writing and video production. I would love to one day be a sports producer or reporter at a large network. I’m a senior journalism major at Penn State University. I enjoy writing nonfiction and poetry, and am interested in photography and music. English and Greek are the languages I speak, many more I hope I grow to adore. Courtney LaBeach is a junior at the Pennsylvania State University. She is studying broad﻿﻿﻿cast journalism and minoring in sociology. She developed the love for journalism after joining her high schools newspaper club. During her college career she interned with CBS radio and Qwik Rock Radio. She has interest in all aspects of broadcast journalism. She also wants to travel the world and report on many different type of dances around the world. Courtney dreams to have her own radio show that only reports on the good news. Courtney would like to began her broadcast journey behind the scenes as a board operator or technical director. She would like to produce a hip-hop and r&b radio station and she also has great interest in being a news anchor. My name is Belinda Charles. I am currently pursuing my bachelor’s degree in Broadcast Journalism and minoring in Sociology. I am ready to gain experience and develop the many skill sets that are needed to work at a professional level. I am looking to work in television production, and to eventually become a station manager. Noelle studies both print and multimedia journalism. She spent her junior year in Southern France and will travel to Cuba this spring with the College of Comm’s international reporting class. As you may have guessed, she hopes to work in an international setting. She plans on moving to East Asia upon graduation. Carl Normil is a broadcast journalist at Penn State University. He has a passion for storytelling through video. His experience in front and behind the camera shows his creativity and love for journalism. He has held an internship at a local news station and is pursuing another in radio broadcasting. 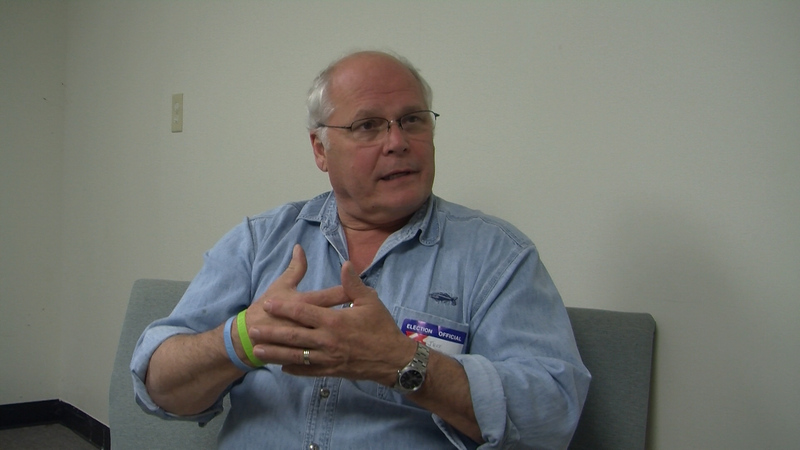 Carl has also worked as a videographer for PSNTV and WPSU at Penn State University. I am a Broadcast Journalism student senior, double major in Energy Business Finance. It’s a counter but joint interest. My career path is to be a professional Multi-media news reporter. It’s a long way to go, and I am looking forward to be on the road. My name is Cheuk-Wai Vivian Lam, and I am a Journalism major and Business minor student at Penn State University. I transferred to Penn State in Fall 2012 from a community college in Illinois. I worked as a staff writer in a student publisher in college and a PR in the Department of International Student Admissions. I also joined different media-related organizations at Penn State. I also had an internship in Shanghai with a TV channel in Summer 2013. These experiences have given me opportunities to improve my journalism skills. After graduating with my broadcast journalism degree in Spring 2014, I am ready to work as a reporter in news channels.